Full refund if you don’t receive your order within the delivery tie promised by the seller. This can be a full refund if the item you receive is not as it is described or you can keep an item and receive a partial refund if it is not as described. Conclusion: Is AliExpress Safe, Legit & a Reliable Site? AliExpress offers 15 days to make a refund request after each completed order. One negative element from the AliExpress reviews is that not all suppliers offer free shipping. Merchants on AliExpress.com have the option to offer free shipping to buyers. When suppliers offer free shipping, the supplier pays the shipping costs, which is why not all suppliers choose this option. Buyers can find suppliers that offer free shipping by entering the name and kind of the product that they’re looking for in the search function, and by locating the country where you want the item to be shipped to in the free shipping search option. Another not so good thing is that there have been some bad reviews because sellers have not shipped what they promised. AliExpress.com has a ‘Help Center’ section that we highly recommend reading and you will see that they suggest validating the seller’s reviews and ratings before placing the orders. Overall, AliExpress.com is a great online shopping platform for a huge variety of items in many different categories. 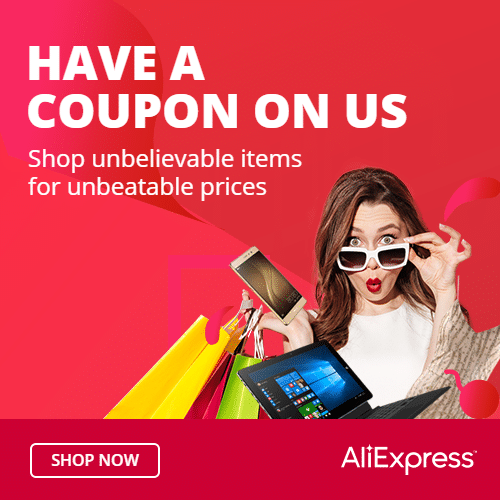 AliExpress.com merchants ship products to over 200 different countries and regions, and some suppliers even provide customers with free shipping. In the AliExpress reviews, they provide a Buyer Protection Guarantee in order to ensure that customers of theirs are fully protected and can enjoy shopping in confidence. The website also offers buyers great promotions and sales on select items and even discounts on bulk purchases. I used to buy on Aliexpress but lately i didn’t receive my order and i opened disputes but they deactivated my account and i lost a lot of money. They’re no longer reliable. Most of the times, your goods are stuck at customs. You should raise a flag to ask vendor about the tracking of shipment. If they cant answer you, opening disputes is the best way.